Dog attacks on children in California still happen with far too much frequency. Dogs are an important and lively part of many families. Sadly, the companionship that pets provide can be lost forever when a dog mauls a child or visitor. Many people grow up with dogs and never have a problem, but that’s not always the case. Even a previously friendly dog can maul an unsuspecting visitor without warning. In these cases, children and infants are the most common victims. Kids are naturally attracted to soft, furry animals, but they don’t always have experience interacting with pets. Their small, fragile bodies are especially susceptible to injuries. Plus, children don’t fully understand the power of a dog’s jaws, sharp teeth and muscular body. The bottom line is that the behavior of kids and dogs doesn’t mix. According to official estimates, 68 million dogs are kept as pets in the United States. Each year, nearly 5 million Americans are bitten by domestic dogs according to the Centers for Disease Control and Prevention. Roughly half of these victims are between the ages of 5 and 9. Most of the time, people are bitten by a dog that they have interacted with previously. Injuries can happen at your own home, in the park, in a backyard or at the home of a friend or relative. Victims under the age of 4 are much more likely to be bitten on the head, neck or face than any other group. Older victims and adults are more likely to be bitten on the hand, arm, leg or foot. Frequently, dogs inflict deep puncture wounds and lacerations. When a child is involved, amputations and crushing injuries are more likely to occur. Many dog bite victims require reconstructive surgery to repair disfiguring facial injuries. A mauling is a physically and emotionally traumatic experience. It can leave you with permanent injuries, severe scarring, significant medical expenses and a lifetime of pain and fear. California has a unique problem with dog bites and fatalities. In the past few years, multiple infants and youngsters have died after being bitten by family dogs. Dog ownership rates are about average, but the state has more home insurance claims for dog bites than any other. 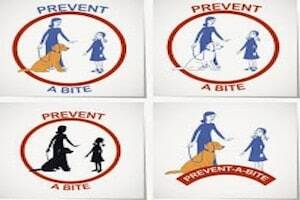 Furthermore, in 2013, the Golden State led the nation in fatal dog attacks with five deaths according to DogsBite.org. All of them were attributed to pit bulls. In 2010, a 2-year-old from San Bernardino was fatally injured by his parents’ pit bull while playing in the backyard. In 2012, an infant in San Diego died after his head was crushed by a vicious bite from a pit bull named Zulu. In 2013, a 6-year-old boy from Union City died after his head was bitten by his uncle’s pit bull. Family members said he had been staying at the house and was very close to the dog. In most cases, severe bites like these are inflicted by unneutered male dogs that have been bred for their aggressive behavior. Pit bulls are responsible for more deaths than all other breeds combined. However, unlike some states, California does not permit breed-specific legislation although it does support mandatory neutering programs for certain breeds. If a loved one was injured in a dog attack, contact a California injury attorney today. Don’t rely on insurance companies to issue a fair settlement. You deserve to recover compensation for medical expenses, emotional trauma and all of your losses. An injury attorney can investigate the accident, check on the dog’s behavioral history and help prove your case in court. Our team of lawyers has represented many families whose children were bitten or mauled by a canine and who need medical help. Call our 24 hour/7 day a week CA dog injury hotline for further information: 866-966-5240.